When I walked into my hotel room at the BlogHer Food conference this past weekend I was greeted by a bright blue Progresso bag and balloon. My first thought was “How festive” my second thought was “Ohh what’s in the bag?”. 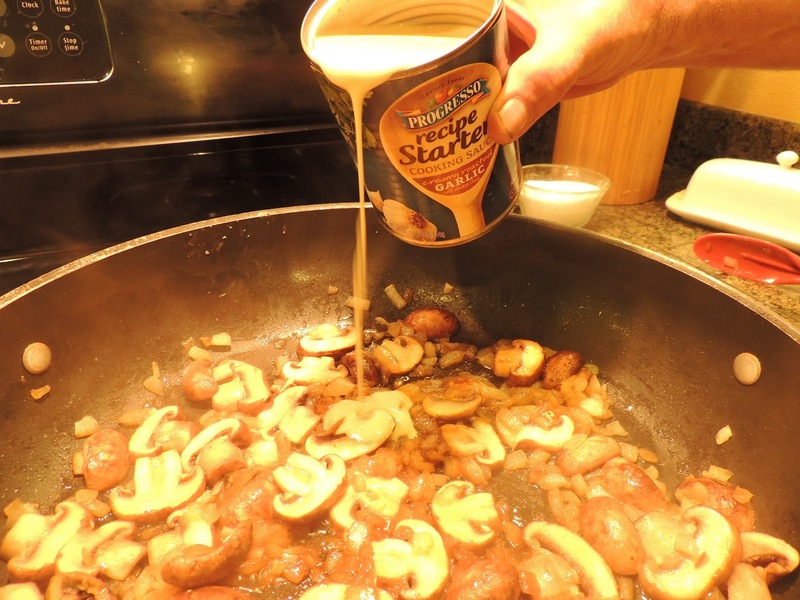 The answer to that question is a can of their new Recipe Starters cooking sauce. I had never seen this before and to be honest with you my first reaction to it was “Oh another soup to cook with”. I have mentioned many times how I try to stay away from any cooking with condensed soup because they contain so much sodium and fat. So I tossed the can back in the bag and didn’t look at it again until I got home. Monday I pulled the can out again and started to read the information on it. Hhmmm only 5 grams of fat, 430 mgs of sodium, and only 70 cals per serving? That is a far cry from the 28 grams of fat, 1955mgs of sodium (yes I said 1955! ), and 258 cals per serving that the average condensed can of cream soup contains. Well with those stats alone I was very excited to give it a shot. A lot of people have asked for quick meal recipes so I wanted to come up with something that would be good for a working parent that needs to get a nice meal on the table for their family in 30 minutes. This product made that goal so very easy! I still can’t believe it is only 70 calories per serving, it tastes like it should add so much more!! I can’t wait to try the others! 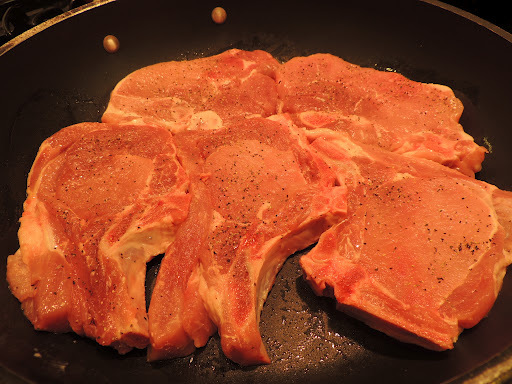 Salt and pepper your pork chops and get them in the pan for a little sizzle time. In the mean time slice and dice a few mushrooms and an onion. You also need the zest of a lemon but I got trigger happy with the camera and forgot to get that in here. Don’t forget to turn those chops over. They only need a couple of minutes on each side for now. Now the mushrooms and onions hit the playground. Here comes that pretty blue can. After it comes to a bubble slide the chops back into the hot tub, cover and let cook while your rice is finishing up. And WALA!! Supper in 30 minutes or less! In a large skillet heat 1 tablespoon of olive oil over medium-high heat. 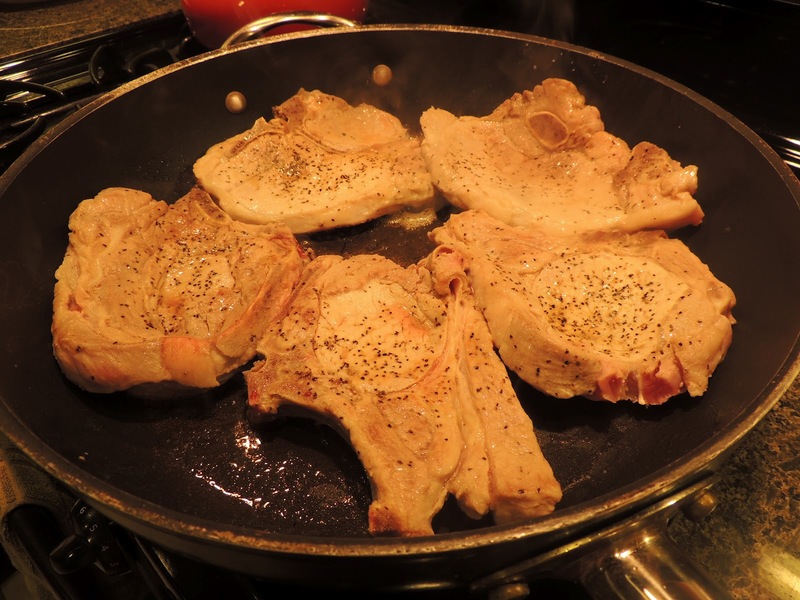 Season both sides of the pork chops with salt and pepper and sear them on both sides in the pan, 2 to 3 minutes per side. Remove from pan and reserve on a plate covered with foil. Place the rice in a medium sauce pan with the chicken stock and bring to a boil. Cover and cook on low for 20 minutes. 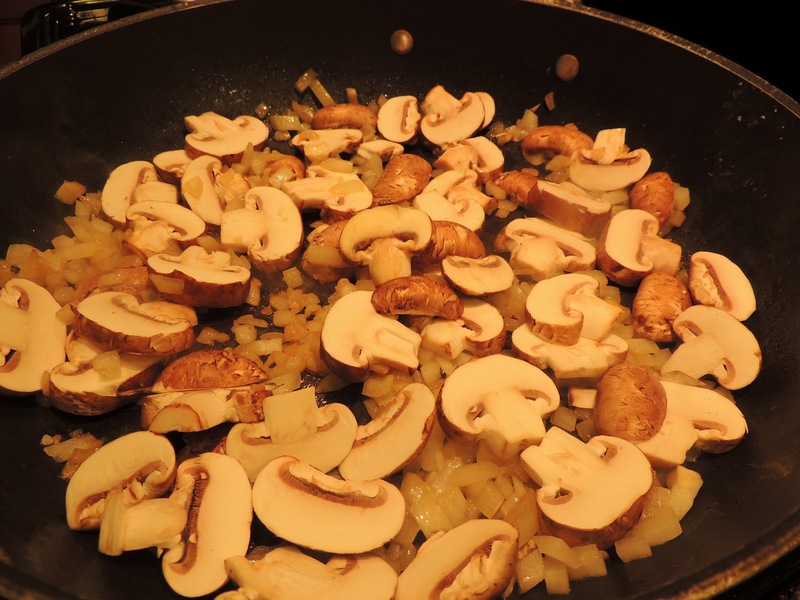 Add the rest of the olive oil to the pan along with the onions and mushrooms. 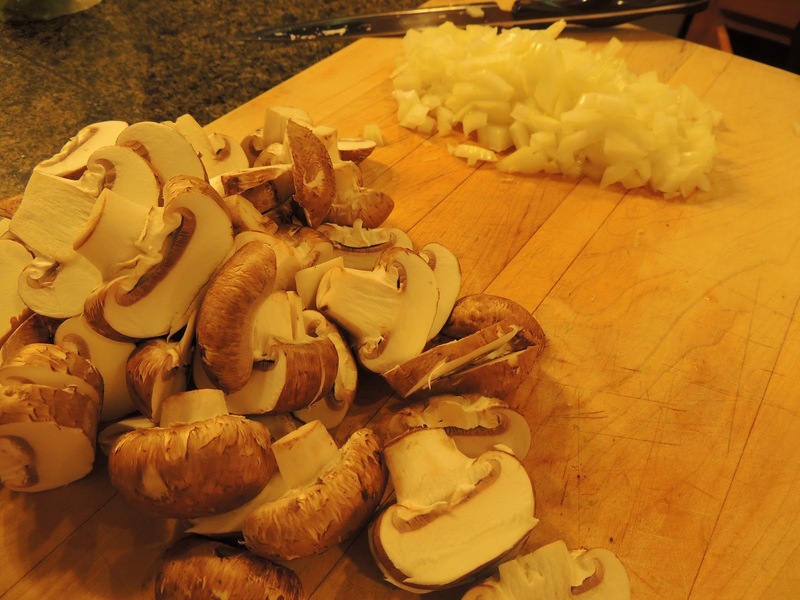 Reduce heat to medium and cook until the onions are translucent and the mushrooms start to give up their moisture, about 5 minutes. Stir in the Progresson recipe Starters Cooking Sauce and add the lemon zest. Stir to combine well and check for seasoning. Add salt and pepper to taste. 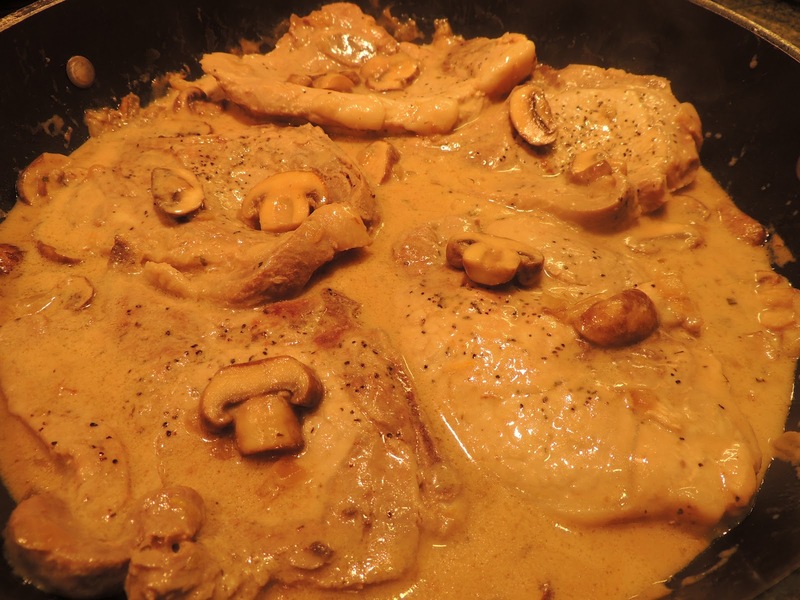 Bring to a bubble and return the pork chops to the pan. Cover and reduce heat to simmer, cook for 20 minutes. 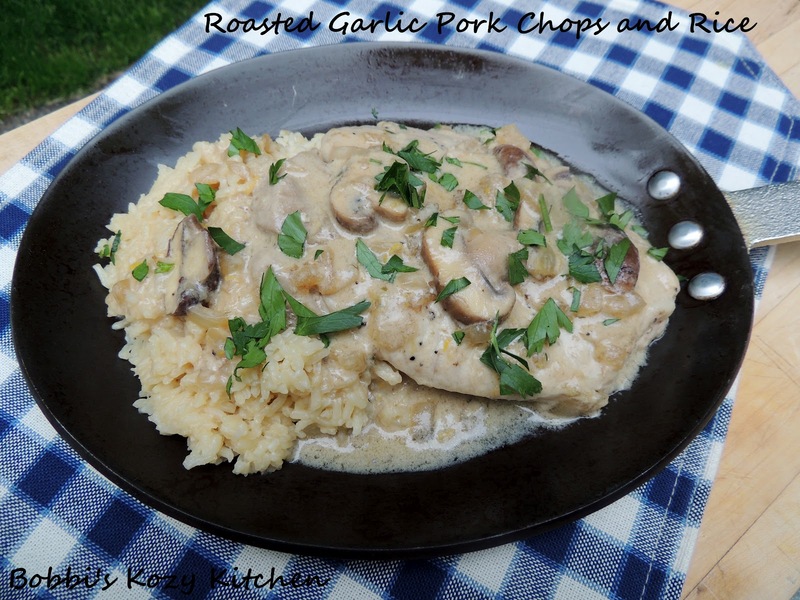 To serve place a large scoop of rice on a plate, lay pork chop across the rice and spoon sauce over the top. Sprinkle with chopped parsley if desired.